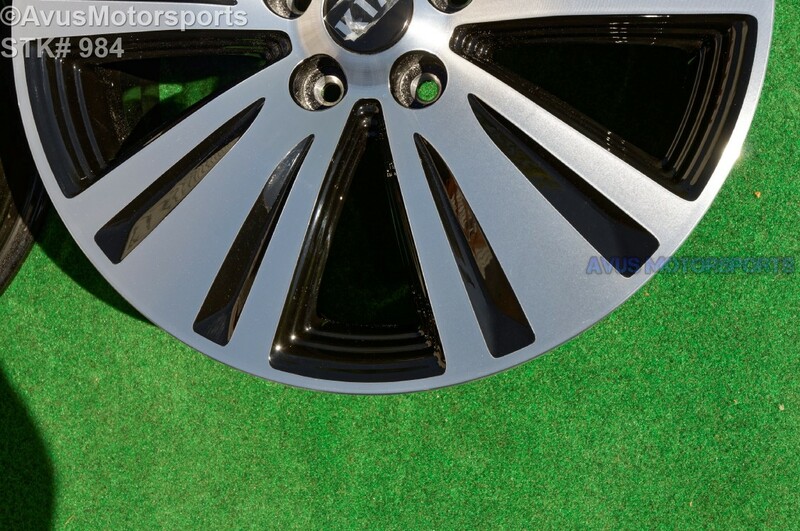 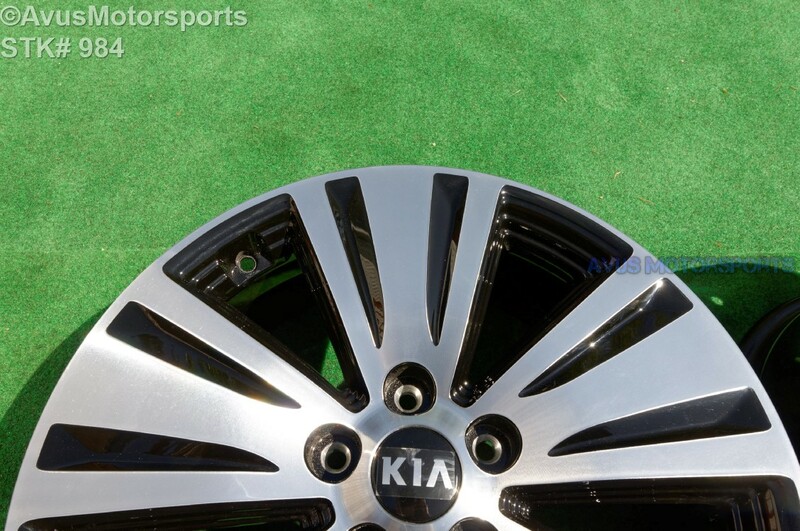 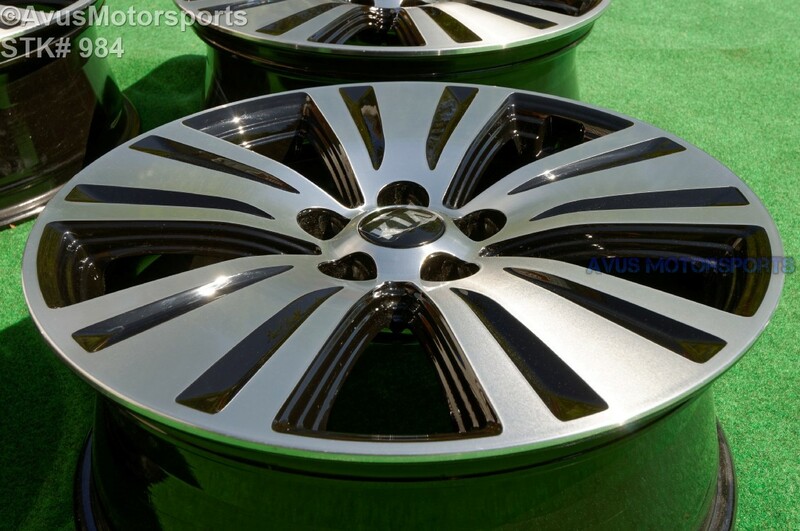 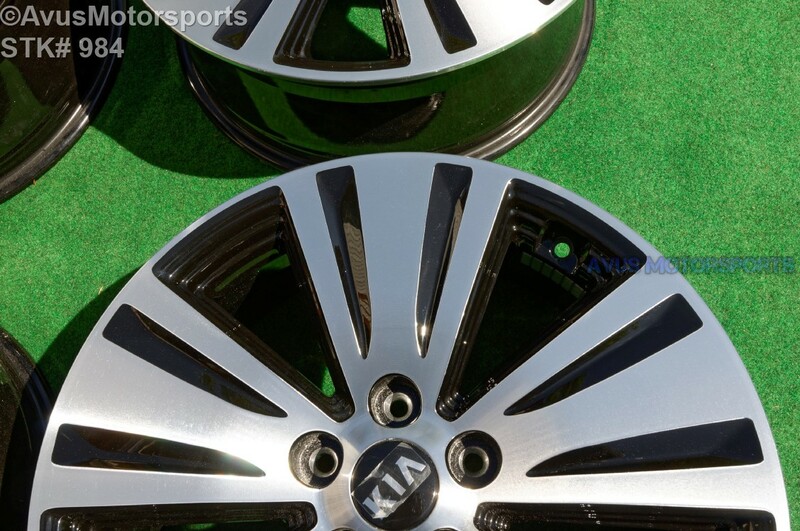 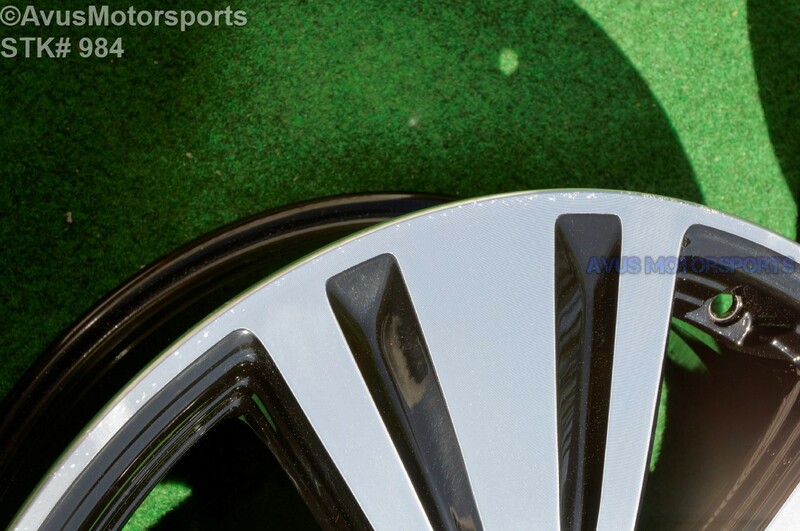 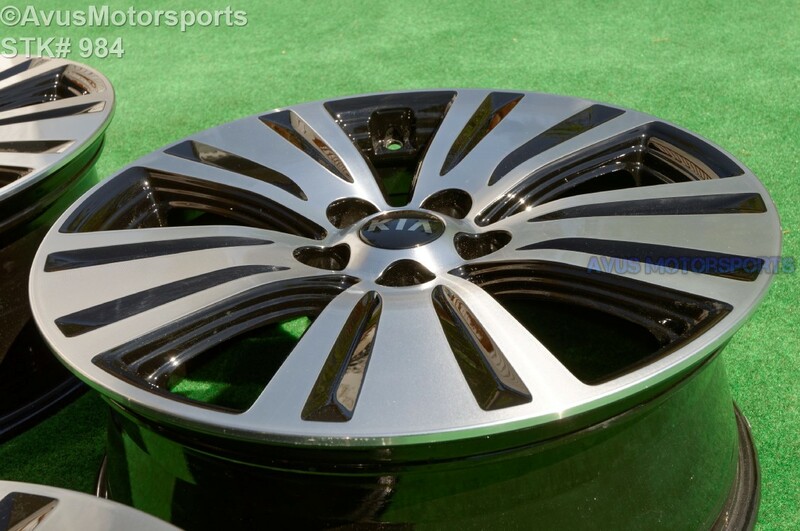 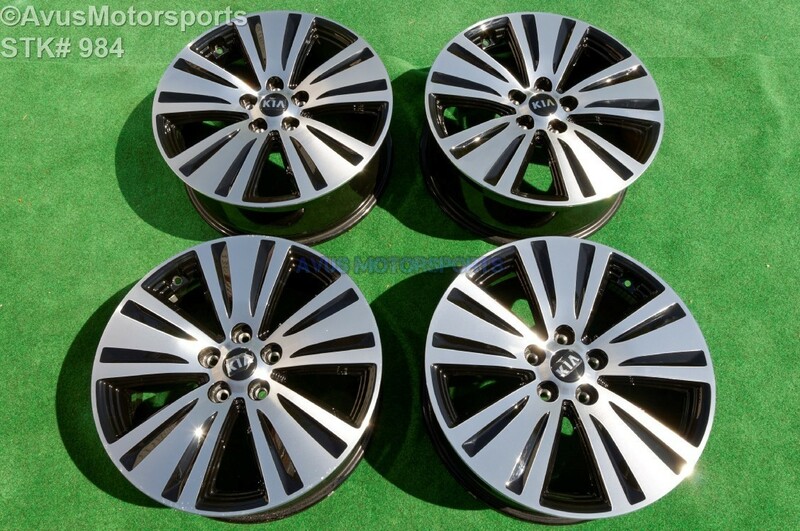 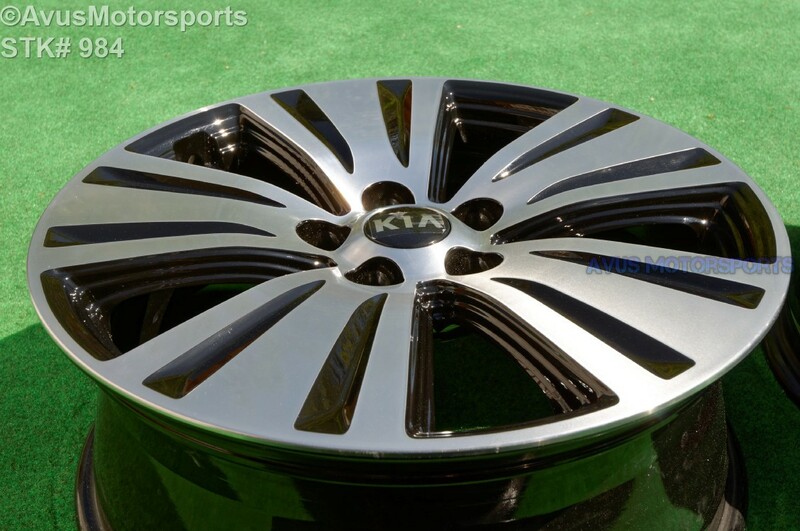 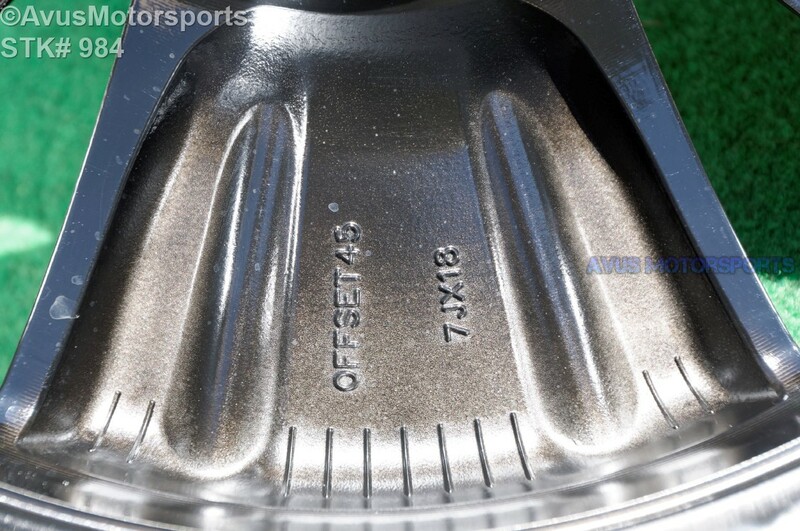 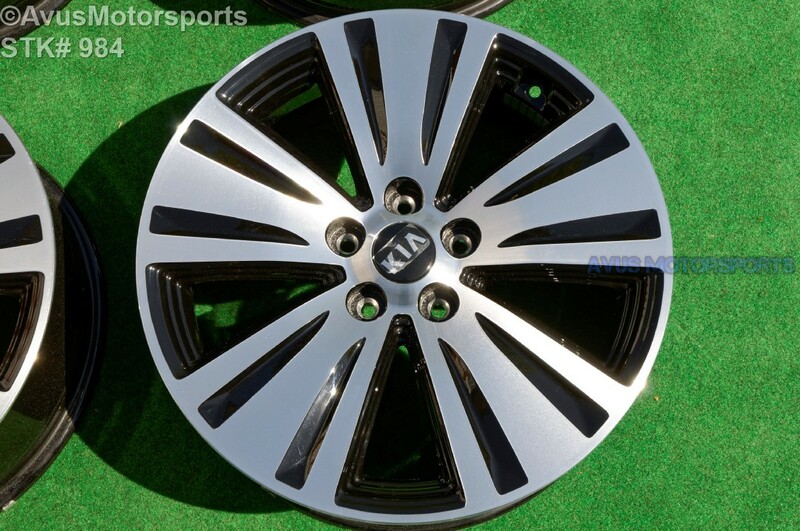 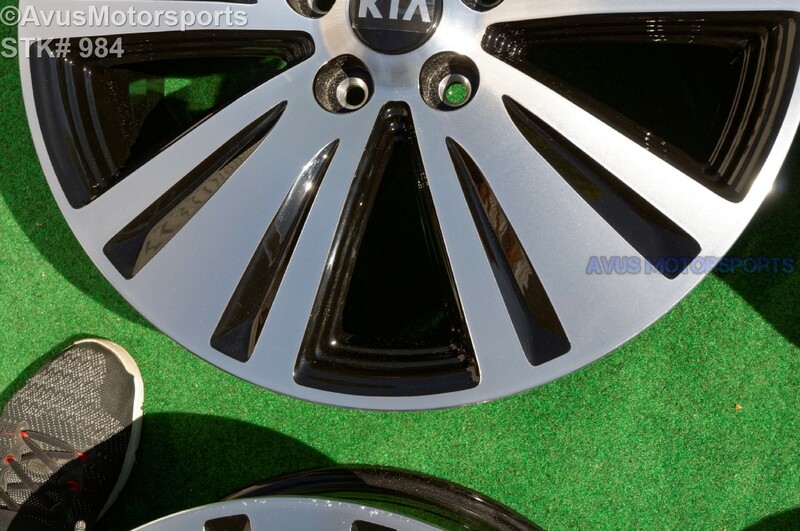 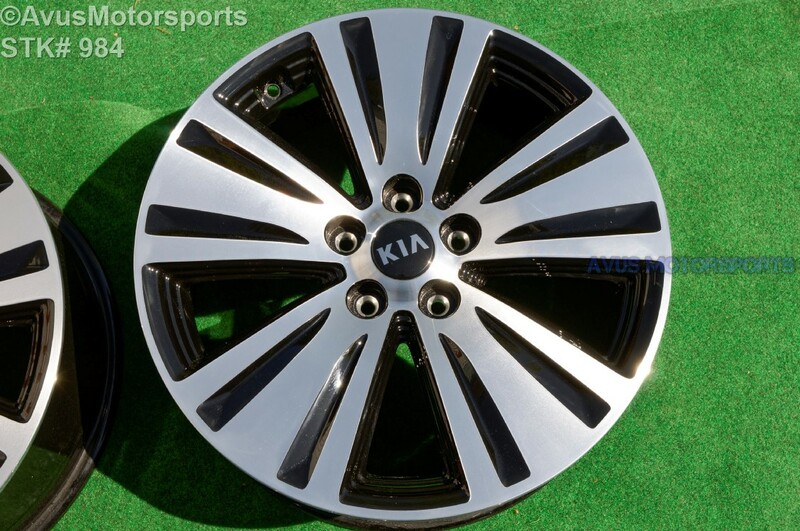 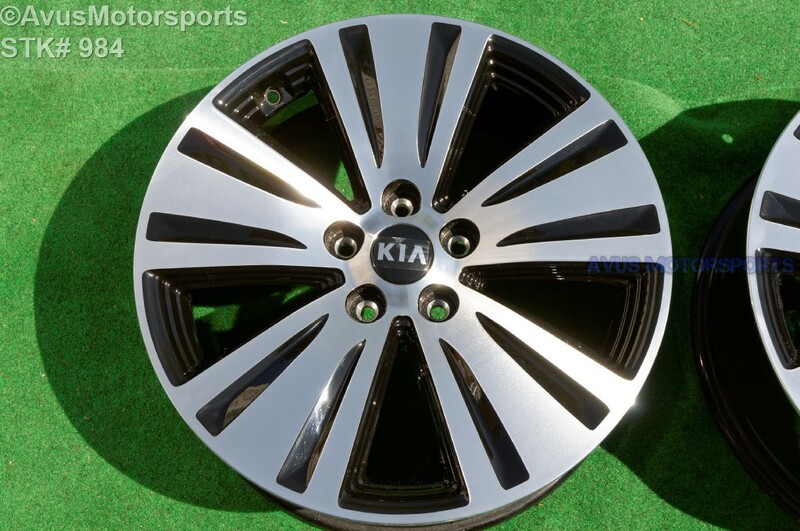 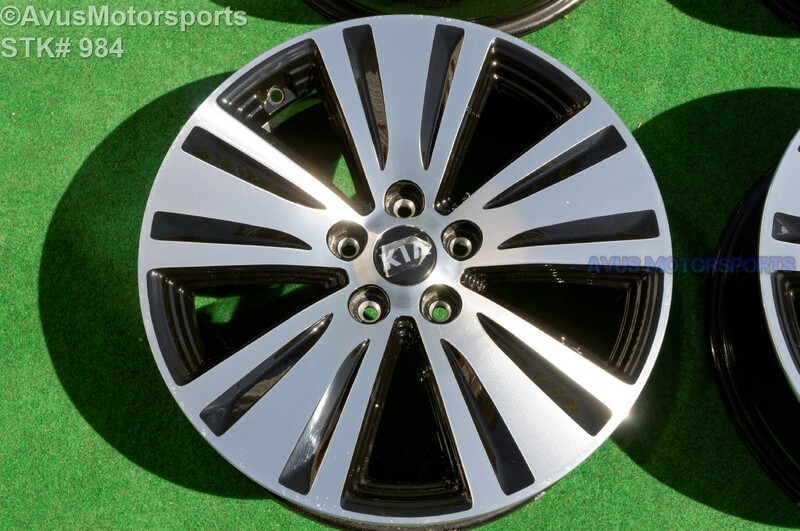 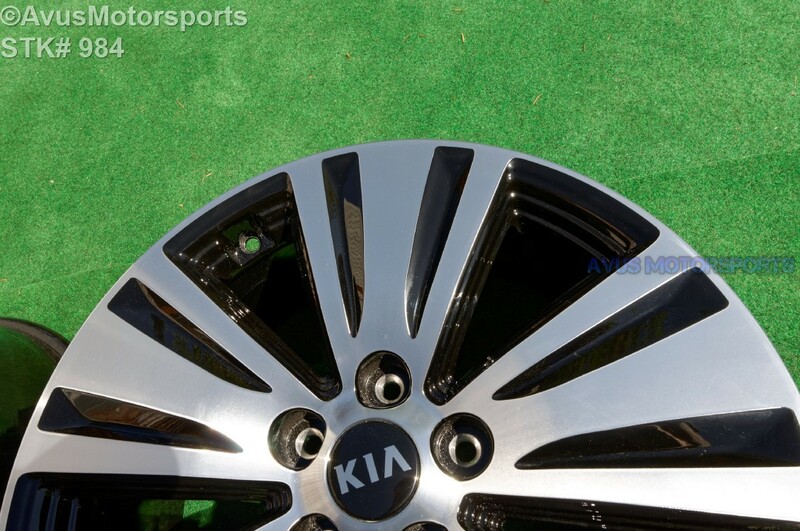 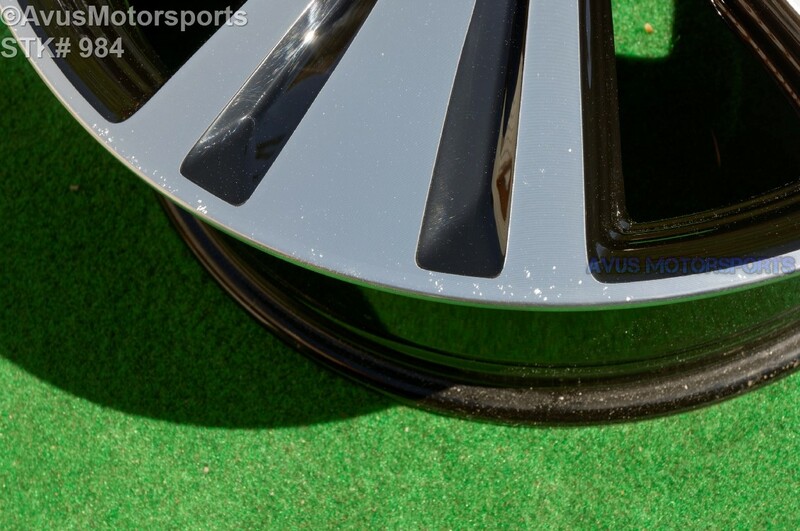 This auction is for a set of (4) 2016 Kia Sportage 18" OEM Factory wheels. 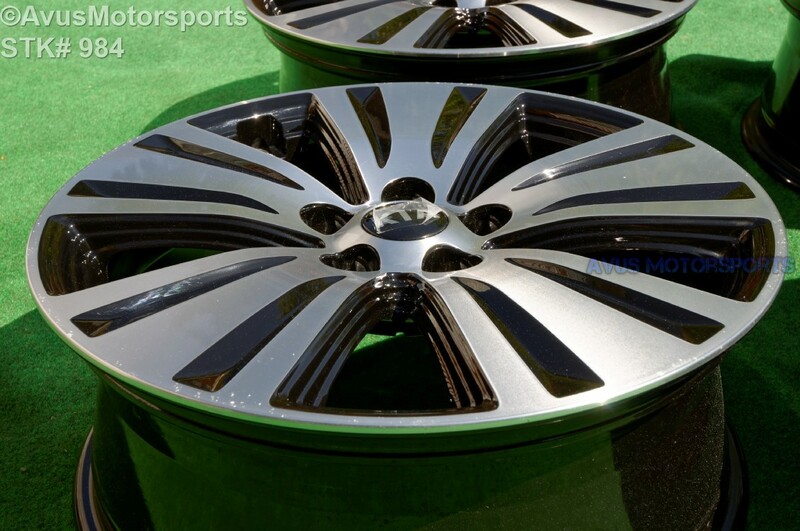 These are not REPLICA, never been remanufactured or repaired. 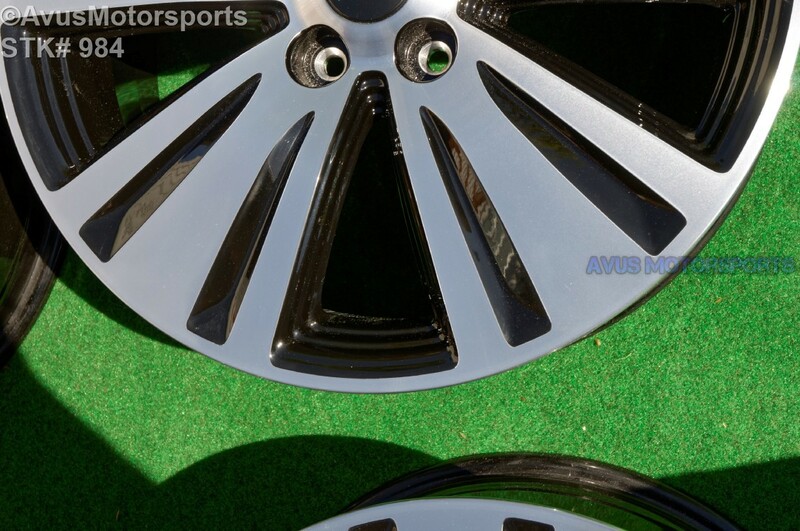 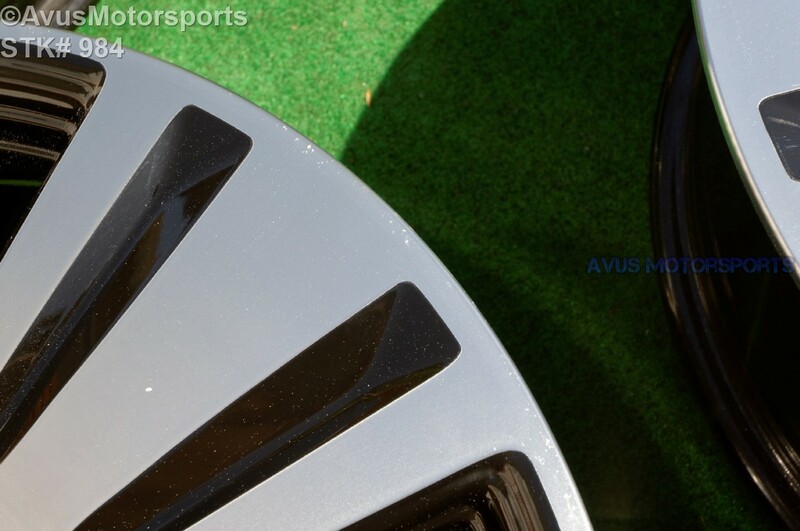 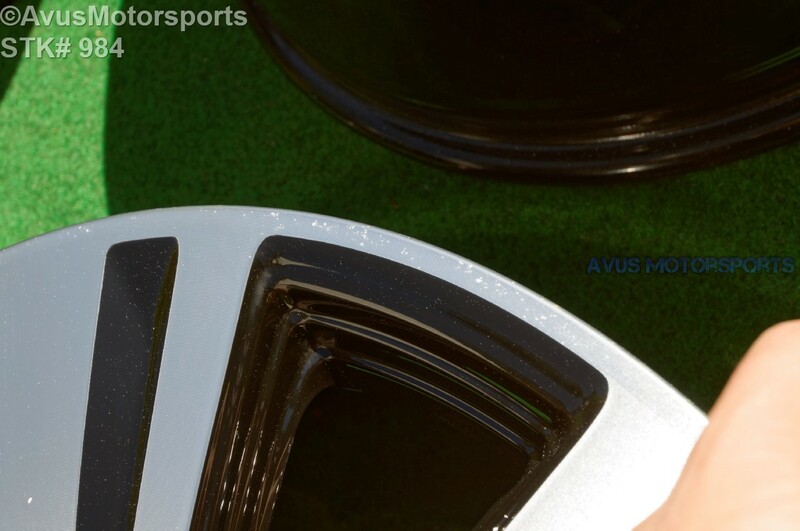 These wheels were removed from a brand new car with around 200 miles on them. 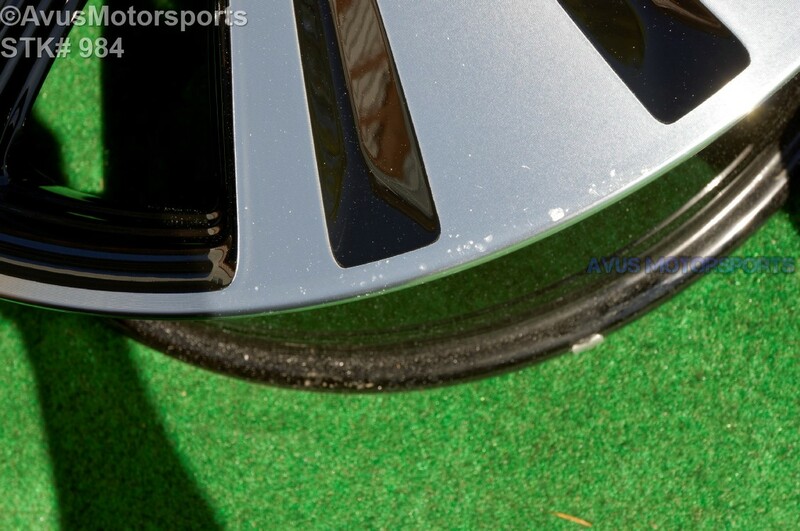 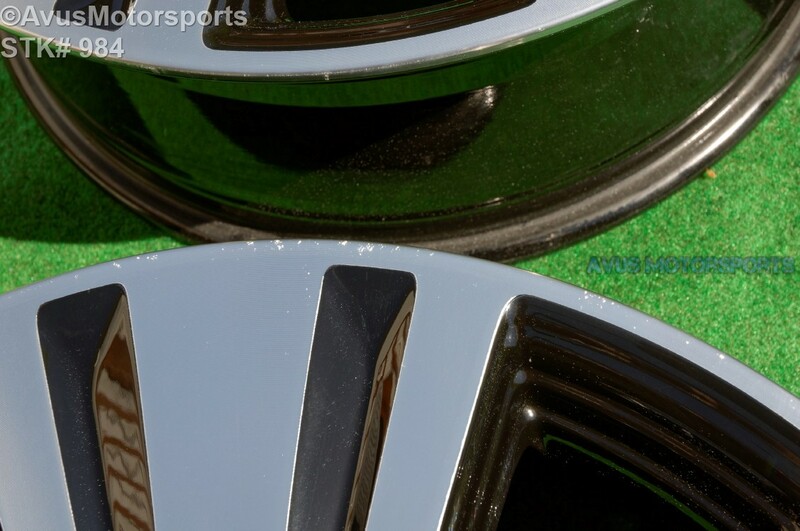 Like all take off wheels you would expect minor scratches or blemishes, but no bends or cracks. 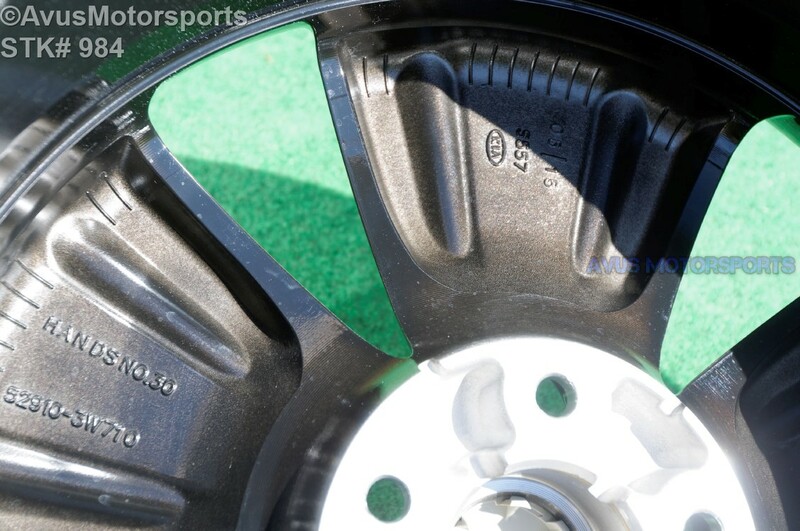 Wheel #4 do have some small rash spots (see pics) Please review all pics prior to bidding!